Shoes are often talked about in fashion circles as the one thing that can truly update an outfit or finish off a look, and that’s often because it’s easier to pick up on a new trend via footwear than an entirely re-stocked closet full of clothes. On the flip side, however, you can always rely on classic shoe styles to come through for you. They may experience slight dips in popularity or sudden surges in being covetable again, but in general, there are some sound footwear choices that never fail and always appeal to the fashion set. Many of these have been borne from a single iconic, normally expensive design. Our general tan sandal obsession would be nothing with Saint Laurent’s Nu Pieds or the Hermès Oran. Likewise, would the ongoing adoration for two-strap stilettos have ever existed if Manolo Blahnik’s Chaos heels weren’t so memorable and desirable? And that’s what we’re focusing on today—the instantly recognizable (or at least to those in know) sandal styles that have stood the test of time and can be guaranteed to look chic each and every summer. Lucy Williams wearing Saint Laurent's Nu Pieds sandals. They may not be the most on trend in every instance, but they are bona fide modern classics and therefore worth your time. It may also be likely that you own not the original design but one of the millions of inspired-by styles that have been created across the entire spectrum of the retail industry—at any given price point, you’ll find versions of these sandals such is their ubiquity within design circles. Peony Lim in Manolo Blahnik's Chaos heels. 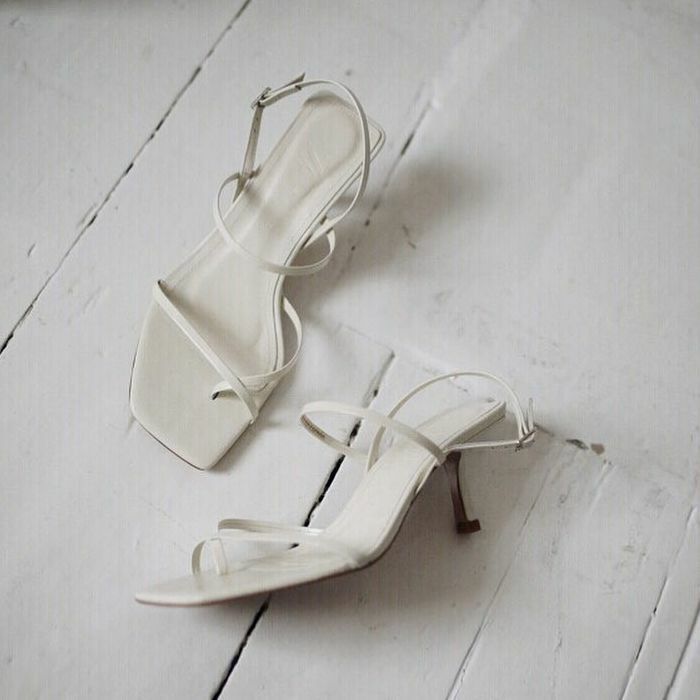 So we've rounded up the key classic designer sandals that you should never throw away as well the secondhand versions and iterations that sit within the same design family. Because, you know, options are a girls' best friend! Keep on scrolling for these top investment pieces.